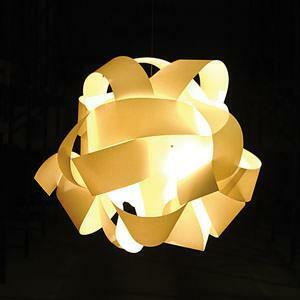 Some lights and lamps can already furnish and customize an original home environments, with colors and shapes. A combination of light and color is very common. The light is widely used for suspension and lamps to obtain a great effect, which is not always the only material to act as a master. Many of the proposals currently on the market allow for effective furniture and personal, just by choosing the right lighting, you earn the scene, thanks to the effects that create the environment, both during the day, with the lights out, that in the midst of their activities . For example, we find the Bell Lamp by Discipline : a hanging light, with clean lines, in which a glass bell, staying inside the light source, masked by the color. The casing is painted with bright colors, which is then reflected in the play of light and shadow that the speaker generates when switched on the light. Despite the shape, the lamp Bell Lamp, designed by Swiss designer Sibylle Stoeckli, it is practical to move, and in addition to being hung, the lighting system is also suitable as a table or temporary light point. 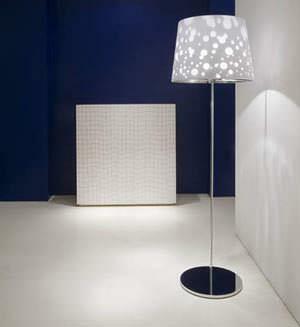 Colorful and modern, as well as ironic, are also lamps Drip Lights of EX.T, the brand specializing in bathroom and beyond. 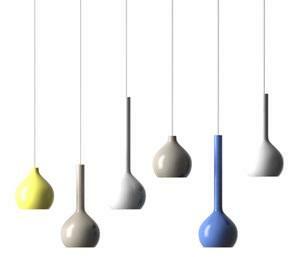 Created by designer Gemma Fabbri, these pendant lamps inspired by the shapes of the drops are made with a traditional way in colored glazed ceramic and are available in various pastel colors (white, gray, yellow or blue), as well as in different shapes and lengths . 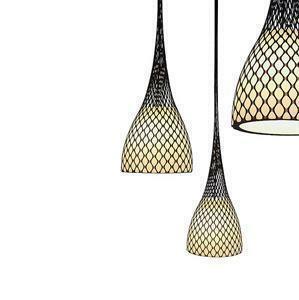 Equipped with a connector for low-energy bulbs, these lamps are ideal to combine with groups, allow compositional styles different, depending on requirements and the space available. If what you need is a volume effect important, then the right lamp is Leonardo, or the suspension created by Spanish designer Antoni Arola for Santa & Cole. This lamp is characterized by a structure that resembles part of the Nordic design of the century and a network of branches, typical of the Mediterranean. The diffuser is made with light wood, which you can see the typical grain, between the different belts that make it up, ranging in turn to create striking effects of light and dark. Comes in two sizes, the lamp is made with thin strips of birch or white poplar folded, which winds around a stainless steel frame, able to command a certain amplitude volumetric diffuser, always very slight. Are always footprint Northern Lights Shadow also created for Porro , the Swedish all-female team to Front, in 2009. Suggestive lamp, with its emphasis obtain original play of light and suffused both the version from the ground as a suspension. In the first version the lamp rests on a chromed rod very light and minimal, which becomes perfect if positioned for lights above tables and desks. In addition, the peculiarity of these lamps is in the diffuser, designed double, namely with a diffuser inside the other, as a second skin, able to create striking reasons polka dot environment, thanks to a system of light and shadow generated by a small half-dome placed inside chrome. 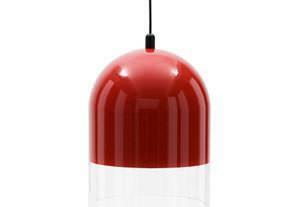 Among the most original and innovative suspension, the LAMP to Zufall designer Ingo Maurer is definitely at the top. In the first place for the material used, the silicone, which composes the body of the lamp, designed for a flexible use, which is also observed in the ability to adjust to different heights the point light generated by the internal source. 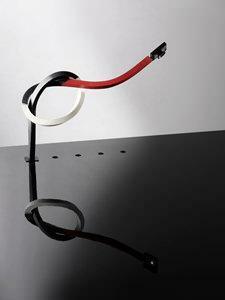 Each model is created by pouring hand, a bright color and lively at the same time very minimal. Available in multiple versions, either as a suspension or as light table, Zufall is pure flexibility, obtained thanks to the meeting of silicone, plastic and LEDs, materials which are easy to be molded and, in this case, to be tied, according to their taste. Weavers also particularly flexible, the lamp of the mark Bilumen , created by Henry Azzimonti. 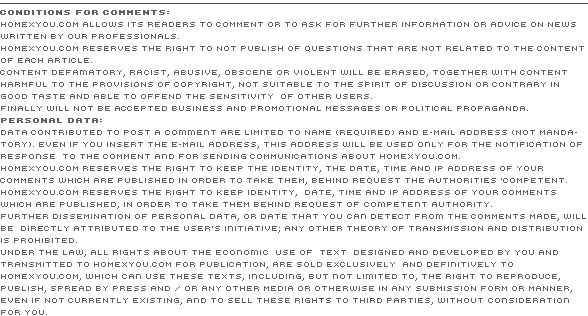 Here the light source is characterized with a support structure of textile type, similar to a sock, of imprint technique, however, that recalls almost a network by fishermen , which is to incorporate the diffuser, made of frosted glass instead. Due to the effect of the perforated supporting tissue, available in different colors, such as white, red and black, every time you have soft lighting and especially impressive for every space. The network, as well as to characterize the object allows to adjust the height according to requirements. Valutation: 4.80 / 6 on 5 votes.